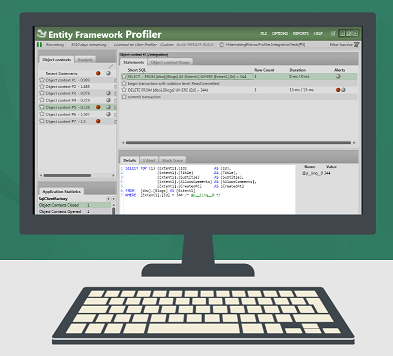 I’m really happy to announce that we have just release a brand new version of NHibernate Profiler and Entity Framework Profiler. What is new in for NHibernate? Fixed various minor issues regarding showing duplicate errors and warnings from NHibernate. netstandard1.6 is also supported via a separate dll. Provide integration hooks for ASP.Net Core to provide contextual information for queries. Support for integration with VS 2017. You can download the new bits from here. Persisting interesting sessions across restarts. Improved filtering of SQL statements and behaviors, persisting your configuration across restarts and generally behaving as a responsible citizen. 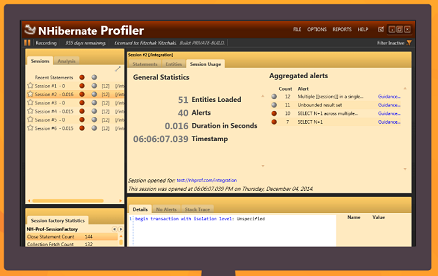 The ability to configure profiling via a watched file, to enable admins to enable/disable profiling on the fly. 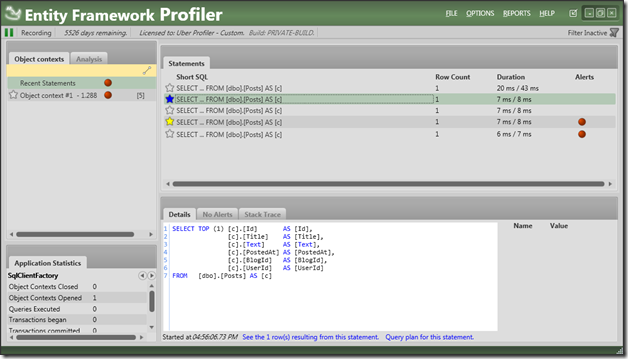 Allowing you to edit and run a SQL statement as well as compare the database query plan generated so you can get to an optimal solution. Various usability improvements (auto tracking of interesting data, always on top, compact mode for quick visualizations, better keyboard navigation, etc). Please take them for a spin and provide us with feedback on it. Reminding you that the end of year coupon has 2 remaining uses. This is valid for today only, so hurry up. Reminding you that the end of year coupon has 7 remaining uses. Happy Holidays and a great new years. On a personal note, this marks the full release of all our product lines, and it took an incredible amount of work. I'm very pleased that we have been able to get the new version out there and in your hands, and to have you start making use of the features that we have been working on for so long. 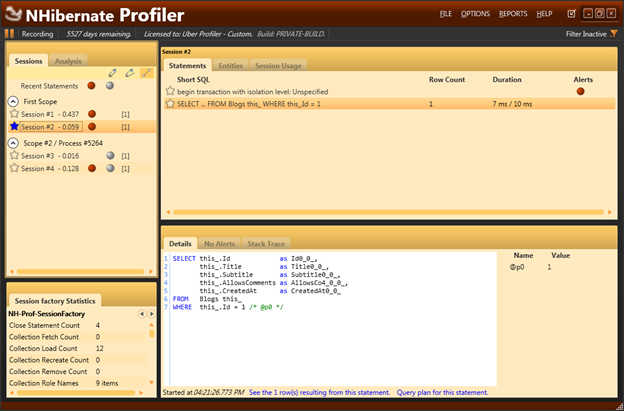 It may not get enough attention, but we have been working on the profilers as well during the past few months. TLDR; You can get the next generation of NHibernate Profiler and Entity Framework Profiler now, lots of goodies to look at! 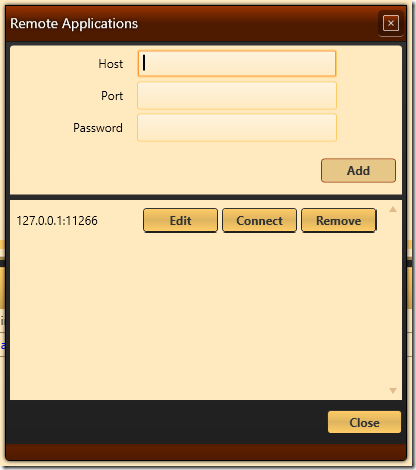 I’m sure that a lot of people would be thrilled to hear that we dropped Silverlight in favor of going back to WPF UI. The idea was that we would be able to deploy anywhere, including in production. But Silverlight just made things harder all around, and customers didn’t like the production profiling mode. 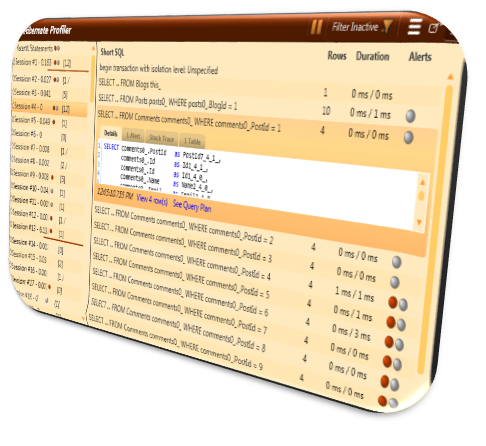 At which point you can profile what is going on in your production system safely and easily. 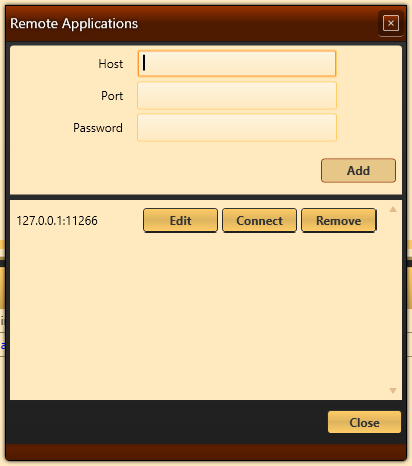 The traffic between your production server and the profiler is SSL encrypted. 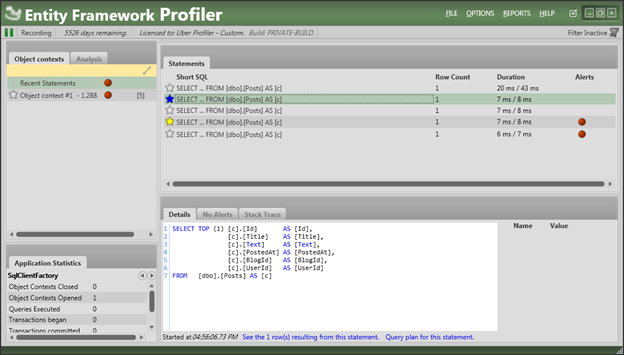 The profilers now support the latest version of NHibernate and Entity Framework. That include profiling async operations, better suitability for modern apps, and more. This is great for NHibernate users, who finally can have a sane paging syntax as well as beautiful queries in the profiler. You can park it at some point in your screen and work normally, glancing to see if it found anything. This is much less distracting than the full profiler for normal operations. By default, we use the current request to group things, but we also give you the ability to define your own scopes. So if you are profiling NServiceBus application, you can set the scope as your message handling by setting ProfilerIntegration.GetCurrentScopeName or explicitly calling ProfilerIntegration.StartScope whenever you want. You can now surface troublesome issues directly from your code. If you have an issue with a query, you can mark it for attention using CustomQueryReporting .ReportError() that would flag it in the UI for further investigation. 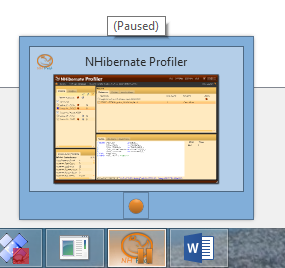 This will avoid initializing the profiler, obviously. The intent is that you can setup production profiling, disable it by default, and enable it selectively if you need to actually figure things out. 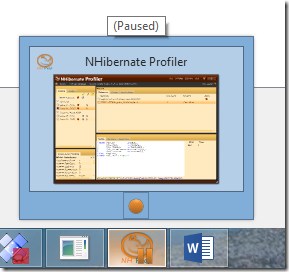 You might have noticed that I talked only about NHibernate and Entity Framework Profilers. The sales for the rests weren’t what we hoped they would be, and we are no longer going to sale them. 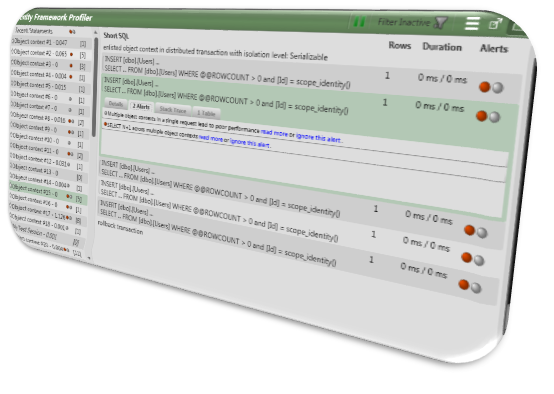 You can get the NHibernate Profiler and Entity Framework Profiler for a 15% discount for the next two weeks. One of the things that tend to get lost is the fact that Hibernating Rhinos is doing more than just working on RavenDB. The tagline we like to use is Easier Data, and the main goal we have is to provide users with better ways to access, monitor and manage their data. We have started planning the next version of the Uber Profiler, that means Entity Framework Profiler, NHibernate Profiler, etc. Obviously, we’ll offer support for EF 7.0 and NHibernate 4.0, and we had gathered quite a big dataset for common errors when using an OR/M, which we intend to convert into useful guidance whenever our users run into such an issue. But I realized that I was so busy working on RavenDB that I forgot to even mention the work we’ve been doing elsewhere. 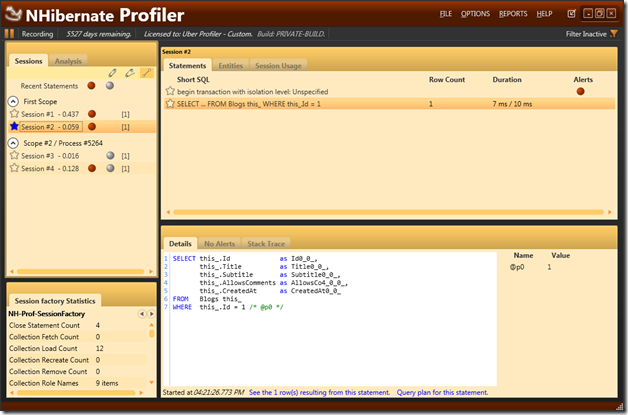 And I also wanted to solicit feedback about the kind of features you’ll want to see in the 3.0 version of the profilers. Well, it is nearly the 29 May, and that means that I have been married for two years. To celebrate that, I am offering a 29% discount on all our products (RavenDB, NHibernate Profiler, Entity Framework Profiler, etc). This offer is valid to the end of the month, so hurry up.